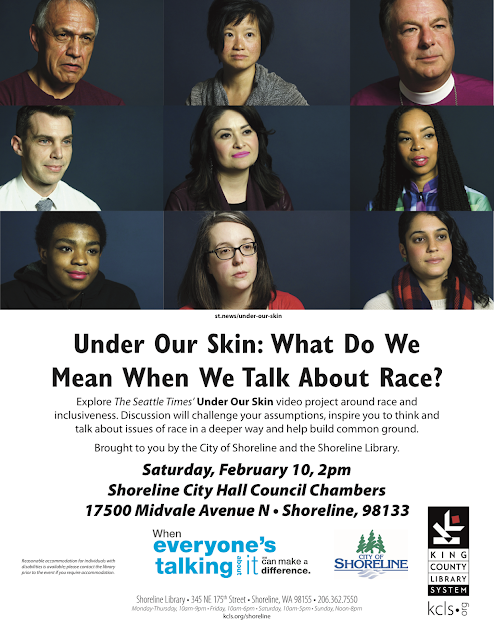 Explore The Seattle Times’ Under Our Skin video project around race and inclusiveness. Discussion will challenge your assumptions, inspire you to think and talk about issues of race in a deeper way and help build common ground. RSVP to Denise Bugallo, King County Library System Regional Manager, or call 206-362-7550.